Volume 3 of the Final Report represents the culmination of more than 2 years of collective brainstorming, engagement, and intense research about how to change defense acquisition from an outdated, industrial bureaucracy to a more streamlined, agile system able to evolve in sync with the speed of technology innovation. A lot of good recommendations in Section 6 – Streamlining and Improving Compliance. Top of the list is revision to the current 18 DFARS Accounting System adequacy criteria. The proposed revision would eliminate the 18 subjective criteria and replace with 7 new objective criteria. 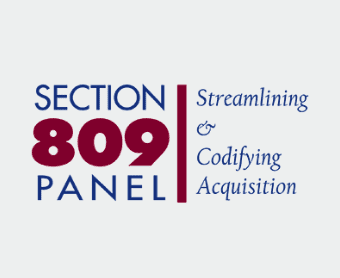 Section 6 also includes a DoD Professional Practice Guide with several important auditing standards and concepts that would align the government contract auditing process more with traditional financial statement auditing methods and generally accepting auditing standards industry practices.